Since 1960, REIFLEXA (formerly Gummi Reischl) has been involved in producing compensators and hose lines. Operating from Hamburg, we work globally with international partners. Close cooperation with the most powerful suppliers in Germany and Europe, as well as our well-founded special knowledge, ensure for us a strong position in this market. Since our foundation, we have been constantly developing our products further. Development of the first expansion bellows compensator with flanges that can be rotated. Development of the fully-symmetrical hose coupling to DN 150 for rough-condition employment in the German armed forces and navy. Development of the sea-supply harness of the navy for stern/bow supply with tension-relief restrained hoses. 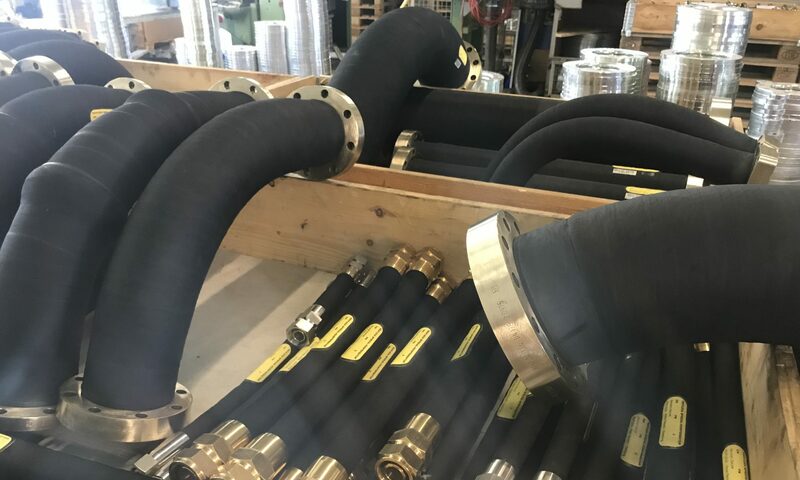 Development of pipeline high-pressure hoses with associated valves. Development of high-pressure compensators for underwater shipbuilding with special acoustic-damping characteristics. Through the collaboration in various standards associations, we are taking charge of further developments for the future. profit from this, in that they always receive the latest state of the art. Our unique position enables us to supply in amounts ranging from individual items to high volume, as well as particularly demanding special designs. As a Hanseatic company, we consider both our customers and our suppliers as partners. We offer top quality, innovation and a competitive price/performance ratio for a successful business relation on a long-term basis.